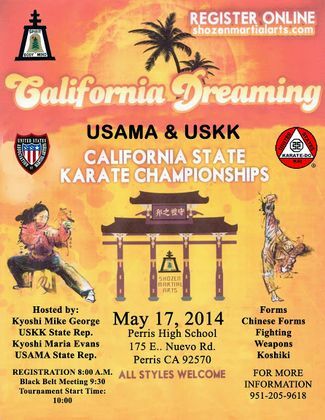 This year nine students and 2 Sensei attended the USAMA USKK California State Competition. Everyone from the School did well in their placing. The tournament was very well run, great competitors and sportsmanship in all areas. Our school brought home a total of 6 State Champion titles and a total of 13 placings.